Work with a professional team to keep your business running. The average cost of a data breach in the U.S. has reached an all-time high at $7.35 million, which means organizations are in need of stronger and faster incident response. As attacks continue to become more targeted, they have a greater chance of disrupting and causing damage to your organizations' operations. 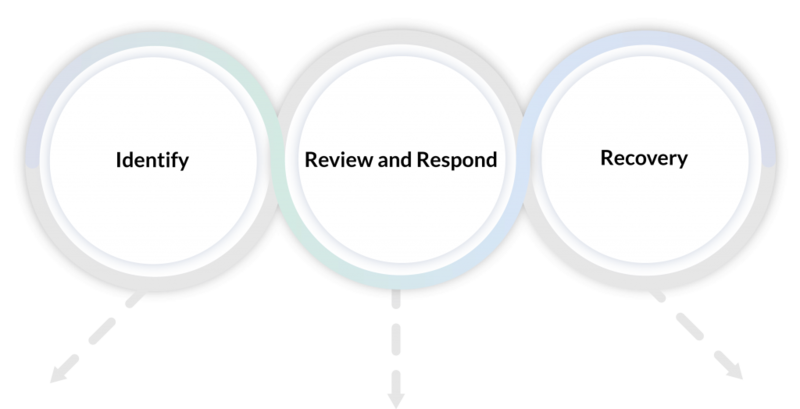 Our incident response team is ready to gather information quickly and act efficiently to minimize the impact of an incident on your organization. They're also available on a retainer-basis to help you respond as soon as a potential incident is identified. Activity or abnormal behavior triggers the internal client team. If an incident has occurred, reach out to our incident response team. Establish goals such as malware forensics, business continuity and recovery, and others. Gather and review evidence and artifacts related to the incident. Ensure the business and network is operational. Generate a report of findings based on the gathered evidence and artifacts. Identify the root causes and ensure there is no persistence of the attack. Provide recommendations and improvements for the client based on gathered findings. Implement changes to the security environment to prevent future incidents. Recover from an incident and secure your environment. 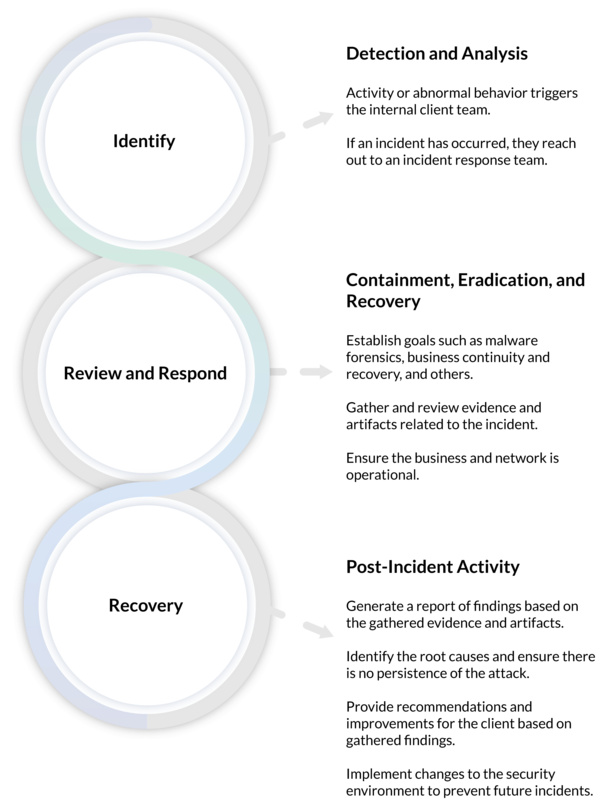 Triage and provide support with our incident response team to minimize the impact of an incident and keep management informed. Gather information and forensic evidence associated to determine and document the depth and extent of the incident. Our incident response team will manage the incident with frequent reporting to key stakeholders and decision makers. Our incident response team will be kept on a retainer basis so that your organization is ready to respond at a moment's notice.